Roughly 70 percent of fetal growth occurs in the last four weeks of gestation. 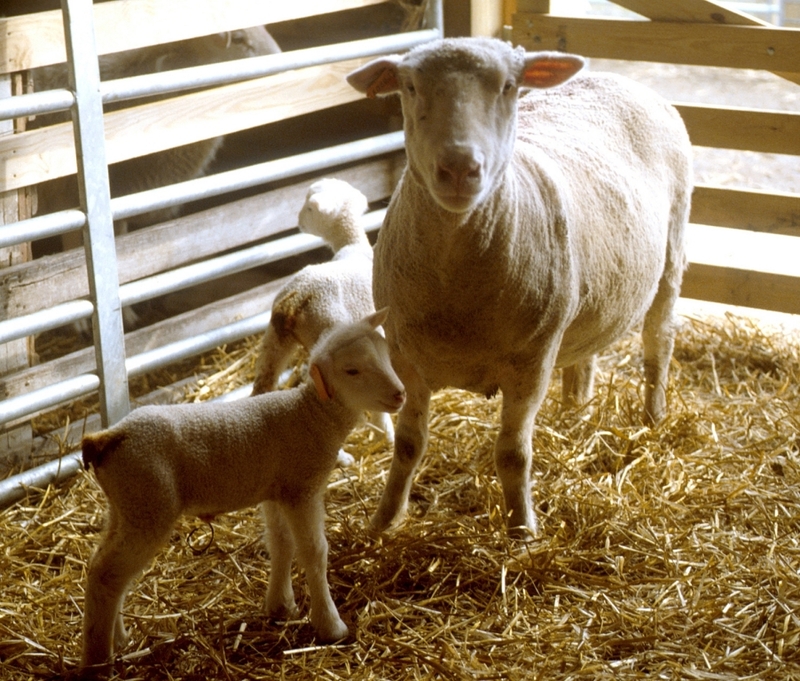 Ewe energy and protein requirements increase by 50 to 75 percent over early gestation. Ewe intake is depressed due to limited space available for digestive content. Ewes can lose 0.5 to 1 BCS during this period, so a proper BCS prior to this period is critical. Under and overweight ewes are suspect for low birth-weight lambs, dystocia, unthrifty lambs and pregnancy toxemia. To prevent pregnancy toxemia, increase energy intake during gestation. Ewes cannot effectively use fat reserves as an energy source prior to lambing but do so successfully after lambing. Benefits of supplemental protein, vitamins and minerals are most often seen when ewes are in poor condition, have been on low-quality hay for an extended period of time or graze forage in a mineral-deficient region. Shearing 30 to 60 days prior to lambing can stimulate ewes to eat more and alter blood flow to result in heavier/healthier lambs, not to mention the fact that ewes seek shelter prior to lambing in poor-weather conditions. Short-fleeced ewes also improve the environment for housed ewes. Supplementation of dietary Vitamin E, Selenium, Zinc and by-pass protein during late gestation and early lactation to ewes can improve ewe milk production and lamb productivity; however, results will be very dependent upon ewe breed, background and region of production. The first four to six weeks post lambing is the period of highest nutrient requirements. Ewe energy and protein requirements increase by another 75 to 150 percent over late gestation. Milk production is directly related to lamb birth weight; therefore, ewes giving birth to heavier lambs and multiple births will produce more milk. In high lambing-rate flocks (>150 percent), ewe diets containing higher levels of metabolizable energy and protein will result in higher milk production and faster growing lambs. Better nutrition is even more critical in super prolific flocks (>225 percent). Ewes must enter lactation in good condition. It is very difficult to feed highly productive ewes enough to provide all the additional energy and protein necessary for milk production at peak lactation. Therefore, ewes must be in good condition to have adequate fat stores to supplement energy supplied by feed. Ewes in good condition fed diets moderately high in protein (14 to 16 percent vs. 10 to 12 percent) will produce 20- to 30-percent more milk. Lactation is the most important stage of production and is not the time to skimp on feed costs. Posted by Braden Campbell at 8:00am February 13, 2019 Posted in Nutrition and tagged Health, Management, Nutrition. Bookmark the permalink.